There's a reason that these myths surrounding Helen of Troy and the Trojan War have been retold so many times, and a reason the retelling often begins with the assembly of Helen's suitors -- it's high stakes and high tension, and there are a lot of powerful men in a confined space, all hoping to win the same GLORIOUS prize. And it wasn't just Helen herself they might have wanted, either, but the entire kingdom of Sparta that came with her. Which means this particular moment in myth (and history?) is a breeding ground for conflict. And conflict is where stories are born. Odysseus, scheming with King Tyndareus, or with Helen herself and her brothers, looking for a way to prevent the gathering from turning into all-out war the minute a husband is chosen. Tyndareus just sweating with nerves, walking on the edge of a blade and fearing even the smallest misstep, because the wrong word to the wrong man at the wrong moment will doom not just his daughter, but perhaps even his kingdom, or the man he most wants to make his son-in-law. Helen, surrounded by dozens of men, all looking at her like she's a treasury of gold and silver and bronze, theirs for the taking. Or worse, panting and lusting after her body, with no consideration for her kingdom or her people, at all. There are so many ways that things can go horribly wrong, even when you know how it ends. And poor Tyndareus. Helen's story makes it so clear that when it comes to possessing her, the violation of Xenia is the least of what a man will risk. To say that I was looking forward to writing it is an understatement. But it wasn't where I wanted to begin. There is so much more to Helen's story than the moment when she was offered up as a prize. Which is why I wrote Helen of Sparta -- the story of the girl who feared what would come when she became a woman. The story of the woman who realized she couldn't leave her fate in the hands of anyone else. Not her father, not her brothers, and absolutely not the gods. The story of Helen before the myths we all know. ...Which isn't to say I'm not looking forward to tackling the rest of her more well-known adventures, too! 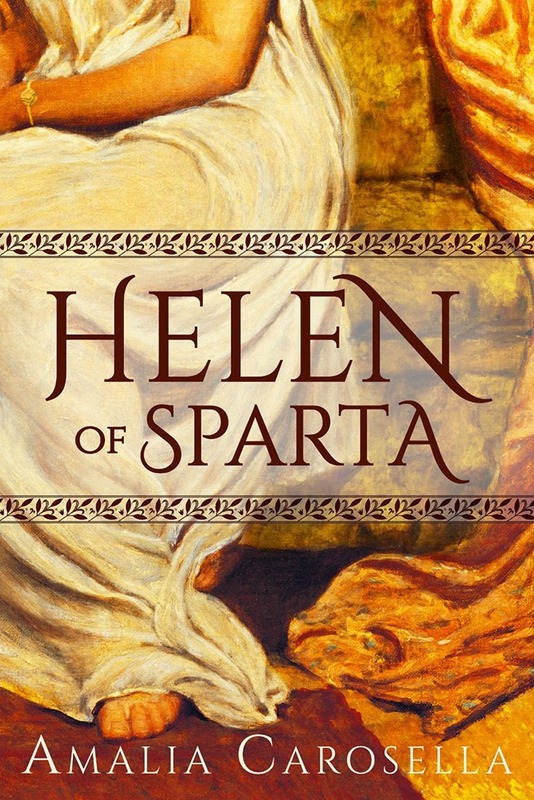 Release Day for HELEN OF SPARTA! !